Tata is leaving no stone unturned to gain the momentum in the passenger vehicles segment. With 18,213 units sold in the month of June, the Indian manufacturer had reported a growth of 63 per cent over the last year. Tata has really matured as a carmaker, with the first glimpses of this change seen on the Zest and the Bolt. From there, they have gone from strength to strength with small cars like the Tiago and Tigor, as well as SUVs like the Hexa and Nexon. 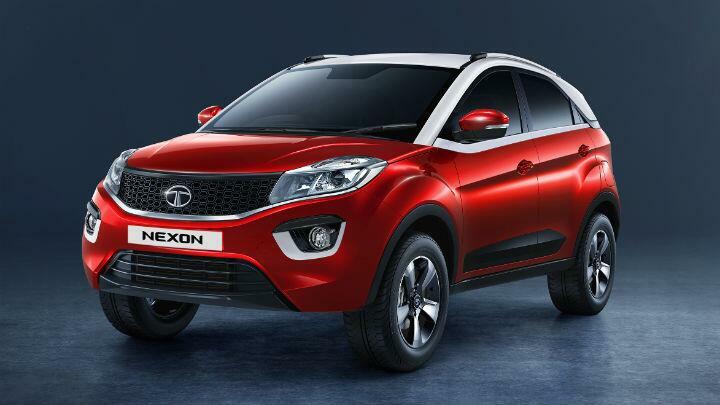 Speaking of the Nexon, Tata has added another AMT variant to its compact-SUV’s line-up, as previously, the AMT was only available on the top-of-the-line XZA+. It is available with both the petrol and diesel motor – while the petrol-powered XMA trim will cost you Rs 7.5 lakh, the diesel variant has a price tag of Rs 8.53 lakh. You get two engine options to choose from – a 1.2-litre turbocharged petrol and a 1.5-litre turbocharged diesel. While the petrol engine churns out 108bhp and 170Nm of torque, the oil-burner produces the same amount of power but it produces 90Nm of additional torque. The motor is mated to a six-speed automatic transmission. The XMA variant comes with three drive modes – eco, city and sport. And if you were thinking to buy the AMT variant, then click here, this might be helpful. While the XMA variant is equipped with features like steering mounted volume controls, USB and Bluetooth connectivity and ABS with EBD it misses out features like a 6.5-inch touchscreen display, Android Auto, voice command, park assist, rear fog lamps, rear defogger, automatic climate control and it also misses out the ‘Activity Key’ that the XZA+ gets. The rivalry between the automatic compact-SUVs has really heated up. While the petrol-powered Nexon takes on the updated Ford EcoSport automatic, the diesel variant will slug it out with the recently launched Maruti Suzuki AGS. The petrol variant undercuts the Ford EcoSport by Rs 2.25 lakh and the diesel variant undercuts the Brezza AGS by a mere Rs 1,000.